Fuel scarcity has been speculated in Port Harcourt, Rivers State Capital, leading to the closure of majority of the filling stations in the state capital. It was rumored that the fuel dealers have closed shop due to speculation that the main depot in Port Harcourt will no longer be distributing fuel at around 3pm on Monday. The fuel dealers have been said to close up shop due to speculations that the main depot in Port Harcourt was no longer distributing fuel. Therefore, the sudden closure of the filling stations caused a long queue at the popular Mobil filling station at Waterlines, along the Port Harcourt-Aba Expressway as motorists had a tough time before they could purchase Premium Motor Spirit. Though the filling station was selling at the normal price of N145 per litre yet some motorists had to wait for over an hour before they could purchase fuel. One of them, who identified himself simply as Chinonyerem, said he could not find fuel at other filling stations inside town, adding that he had to join the queue when he noticed that the Mobil filling station was selling the commodity. “I don’t know what the cause of the scarcity is, but it is good to notice that they did not increase the fuel price here (Mobil filling station). I have been here for over one hour. I know I will get fuel before I leave here,” Chinonyerem said. As of 10am on Tuesday morning, most of the filling stations were still locked up as the owners refused to sell, hoping that the scarcity would force an increase in the pump price of petrol. At the Karibi filling station on Iwofe Road in the Obio/Akpor Local Government Area, fuel was sold at the normal price as the queue continued to build up. 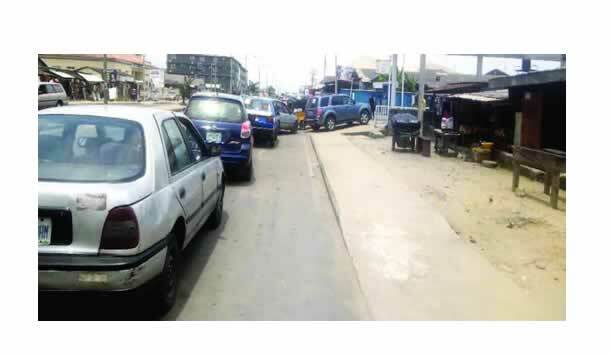 A commercial tricycle rider, who identified himself simply as James, told our correspondent that the scarcity was as a result of the rumour that the depot in Port Harcourt was no longer distributing fuel. “Immediately the rumour got to these fuel dealers, they began to close their filling stations. The few ones that opened did not believe the rumour. That is what is causing this scarcity,” James stated. When contacted, the Media Officer, Port Harcourt Refining and Petrochemical Company, Ikenna Okpani, said he was not aware of any fuel scarcity, adding that there was no reason for dealers to close their fuel stations. “I am not aware that there is any fuel scarcity. There is no reason for such because from our end here, we are producing,” Okpani said.